The friction between Netflix and the Cannes Film Festival came to a head last year when the streaming service skipped out on the festival entirely because Netflix movies are ineligible to compete for the Palme d’Or. That meant that acclaimed films from big name filmmakers like Roma and The Other Side of the Wind did not premiere at the illustrious festival where so many beloved films got their start. Now, a year later, it again looks like Netflix will be skipping Cannes. According to Variety, Netflix will be absent from the French festival for the second year in a row, with no new movie premieres either in or out of competition. This is a result of the existing issues between the two parties, which have yet to be sorted out. And, even if Netflix and Cannes had come up with an agreeable solution, the movies that Netflix would theoretically premiere at Cannes simply aren’t ready yet. At one point, it was expected that Netflix’s most prestigious original 2019 movie, Martin Scorsese’s The Irishman would be ready for, and an ideal participant in, the May festival, but the arduous task of digitally de-aging the cast for half of the film will require more time. So The Irishman wouldn’t be ready for Cannes, regardless, and will likely premiere at the Venice Film Festival in September instead. Another possible candidate for Cannes was The Laundromat, Steven Soderbergh’s new film about the Panama Papers starring Meryl Streep and Gary Oldman. David Michôd’s The King starring Timothée Chalamet would have also been an obvious choice for Netflix to enter in the festival. Alas, the issues aren’t sorted and these movies aren’t quite ready, either. 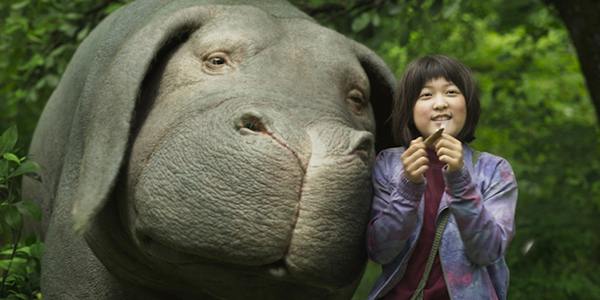 The issues between Netflix and the Cannes Film Festival first came to the fore in 2017 when Netflix movies Okja and The Meyerowitz Stories were accepted into the festival in the competition lineup. This resulted in backlash from French theater owners, because in France there is a 36-month minimum window between a film’s theatrical release and when it can show up on a streaming platform. Cannes gave in and required that movies could not compete unless they would eventually be released in French theaters. So Netflix pulled out of the festival last year. In the time since, Netflix and the Cannes Film Festival have been quietly negotiating in friendly talks to try to work out their differences and find a way for the streaming service’s films to come back to the festival, but as of yet those issues are still unresolved. Although Netflix will not be premiering any of its big 2019 movies at Cannes, it does still plan to send an acquisition team to France, so the streaming service may be opening its wallet even if it isn’t bringing anything to show itself. Even without Netflix bringing its heavy-hitters to Cannes, there are still plenty of reasons to pay attention to May’s festival. Among them are James Gray’s Ad Astra and Quentin Tarantino’s Once Upon a Time in Hollywood, which are both expected to be in competition. We’ll keep you updated on all the latest as the industry’s various elements continue to try and adapt to the elephant in the room known as Netflix. For all of this year’s biggest theatrical releases, check out our 2019 premiere guide.